If you take a picture of a tree on the day that you plant it, and then visit it forty years later, the difference will be vast – to the point that you might even doubt that it’s the same tree. But if you had visited that tree every day for forty years, you would have barely noticed any changes at all because each step was part of a natural progression – each step leading to the next. And that’s how it is for us when we look back on the culture of growth at Cumberland Valley Tree Service – Landscaping. We grew a little bit every day, and now, when we look back at the old photographs, newspaper clippings and hiring records, it’s hard to believe that it’s all part of the same company’s legacy. For forty years, Cumberland Valley Tree Service – Landscaping has maintained a culture of growth. Previously in this blog, we have talked about the company’s origins and its “sapling” years, which provided the roots on which the rest of the business would continue to grow. This is the story of that culture of growth. Slow, steady, responsible. Ensuring that each branch was strong enough before we put our full weight onto it. When the company was founded, back in 1978, the headquarters was the Pogue family kitchen. As if learning to run a business while running that same business wasn’t a big enough challenge, the Pogue’s property was next to the Conococheague Creek, which was an existential risk to both the Pogue family’s residence and the fledgling business. 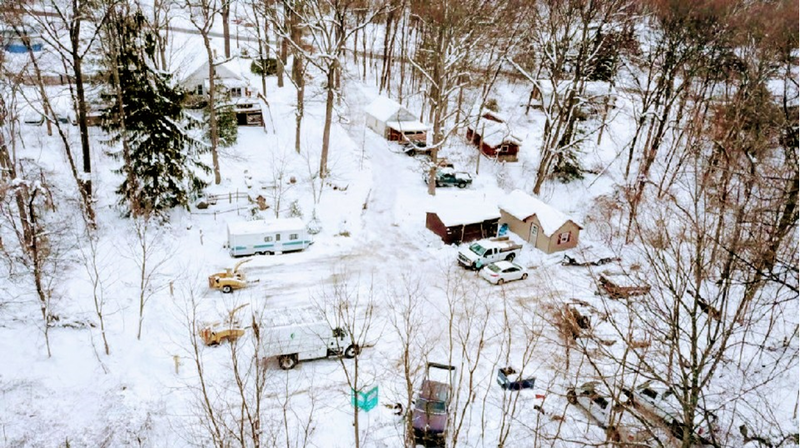 Being located in a flood zone, no one ever took their keys out of their personal vehicles or the company trucks because at any moment they might have to move everything out of the Mickey’s Inn Flood Plain to higher ground. 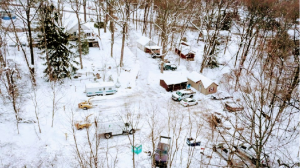 When Scotland residents saw our equipment lined up along Main Street, they didn’t have to go down to the creek to know that the Village Green Manor Trailer Park had flooded again. Our staff was small (compared to today), and while we didn’t have a lot of equipment (yet), it was large and it took up a lot of space. The Pogue’s quarter acre was quickly overrun as the equipment continued to pile up, and we were fortunate enough to be allowed to spread out onto land we borrowed from three gracious neighbors. While you could say that CVTS-L’s first expansion was when our equipment spilling over onto our neighbors’ yards, the company really came into its own in June of 2003 – our 25th anniversary – when we relocated to our current Chambersburg location at 5007 Philadelphia Avenue. The property had formerly been a landscape and nursery business called Oakland Rock Gardens. That business had closed up some time in the 70s, and the property had been barely touched since then. Out of necessity, we hired our first landscape designer to deal with the thirty years of overgrown nursery stock that had taken over. CVTS-L already offered some landscaping services prior to this – we had two landscaping crews at that time – but this was a pivot from maintenance to creative design. Today, we have four full-time landscape designers with their own designated workspace and nine landscaping crews to make their visions a reality. We still run into people who recall buying flowers or planting trees (that are now full-grown!) from Oakland Rock Gardens, and we proudly honor the community history contained in this property. Ever since then, we have used our own property to demo the full range of our landscaping products and capabilities. Each year we try to transform a piece of the property, and if you’ve been following us on Facebook, you may have seen the results of our most recent – and most drastic – renovation since 2003. 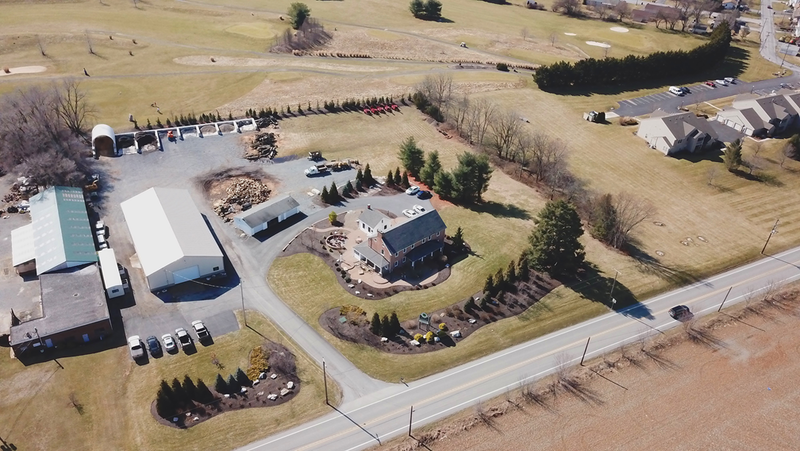 To go from a kitchen-office situated on .25 acres to our current Chambersburg facility was a big step, but the story of our growth doesn’t stop here. In his own words, the most difficult decision Fred Schrom ever had to make was leaving a federal job to work with Cumberland Valley Tree Service. He says that he never regrets it because he realized that working with a small business (we were a much smaller company in the late 80s) would give him more opportunities to make a real, meaningful difference. He started out as a journeyman working for several years on the utility crews under the direction of Don Engle, and during those years, he grew with the company – and the company grew with him. He was instrumental in establishing and growing CVTS-L’s presence in the Carlisle area, where, today, he is the manager of all of our Cumberland County operations. Being tree folk, we aren’t particularly interested in growing as fast as we can. Other companies might have set up an office, staffed it and then tried to drum up the work to support it, but at CVTS-L, we are interested in growing as strong as we can with each development supporting the next. Around 1994, we set up a Carlisle phone number to see what kinds of calls we would get, and with minimal advertising support we snowballed that into enough business to support the office. In the early days, Schrom would drive to Chambersburg, pick up his crew and then drive back to Carlisle to do the work that he had sold. Eventually the branch was strong enough to support weight, and then – and only then – did we decide to set up a permanent office. We bought the property at 472 York Road in Carlisle in 2010, and just like the Chambersburg office, the property was totally overgrown. The house, which had originally been built in the 1840s and had been added on to in some fashion by every generation since, had been reduced to a skeleton of its former self. And so, just like we did with the Chambersburg office, we used this challenge to demonstrate our landscaping capabilities. Jake Schrom – one of our full-time landscape designers – completely transformed the property to create a space that is part sales office and part show room. The next step for the Carlisle branch is to expand the space to house a team of full-time designers onsite. As it is now, the majority of the designers are based out of our Chambersburg office, and they make the commute. That’s our next hurdle for this branch – getting a full-time landscaping division operating solely out of Carlisle. CVTS-L does a lot more than just “cutting trees.” As we have already seen, we are very skilled at all manner of landscaping and hardscaping installation and design. Additionally, we do the very specialized work of preserving trees. Nowhere is this more evident than at our Gettysburg office, which is managed by Dave Poe who is an ISA-Certified Arborist as well as a Maryland Licensed Tree Expert. When Dave and his wife Heidi opened the Gettysburg office in 2005, they selected a property off of historic Old Route 30, next to a Christmas tree farm. Our Gettysburg office is a bit more secluded than the other offices, but visitors love its charming, rustic vibe. Poe and his crew have the honor of cabling and bracing some of Gettysburg’s so-called “Witness Trees,” which are trees that witnessed the Battle of Gettysburg in 1863. These trees are living history, and some even bear scars and bullet fragments from the battle. Preserving trees that are hundreds of years old requires very skilled and strategic cabling and bracing strategies not only to keep the tree standing for another generation to appreciate but to prevent potential safety hazards as some of these trees provide, which once provided shade to soldiers in battle now provide shade to tourists in high-pedestrian areas. In addition to the cabling and bracing, the Gettysburg office installs lightning protection because these giants are often the tallest object in their vicinity. Mostly, though, they just keep an eye on the trees with annual inspections to make sure that there are no dead limbs or insect or disease issues that need to be taken care of. In the unfortunate circumstances when Witness Trees need to be removed for public safety reasons, CVTS-L works with the local Shade Tree Commission to make sure that a suitable replacement is planted in its place. The next step for CVTS-L is to expand our service offerings in Maryland by opening an office in Hagerstown. Providing tree care and landscaping services to Maryland residents is nothing new for us – in fact, many of our arborists are also Maryland Licensed Tree Experts – but the new office will allow us to more fully satisfy our customers’ needs south of the Mason-Dixon line. This project is being led by our own Evan Brumfield who has been featured numerous times in this blog for becoming a Maryland Licensed Tree Expert, completing the Certified Tree Care Safety Professional program and representing CVTS-L in a Truck Convoy to raise money and awareness for Make-a-Wish. Keep checking this blog and following us on social media to follow updates on our Maryland expansion project as information becomes available. From our humble beginnings as a two-truck operation on a quarter acre of land to our newly renovated Chambersburg headquarters with outposts in Carlisle, Gettysburg and Hagerstown, CVTS-L is committed to maintaining a culture of growth where each development clears the way for the next one.